Eleven year old Mara has always believed in helping others. She has always had that “never give up” attitude, and has used her determination to help out in her community. 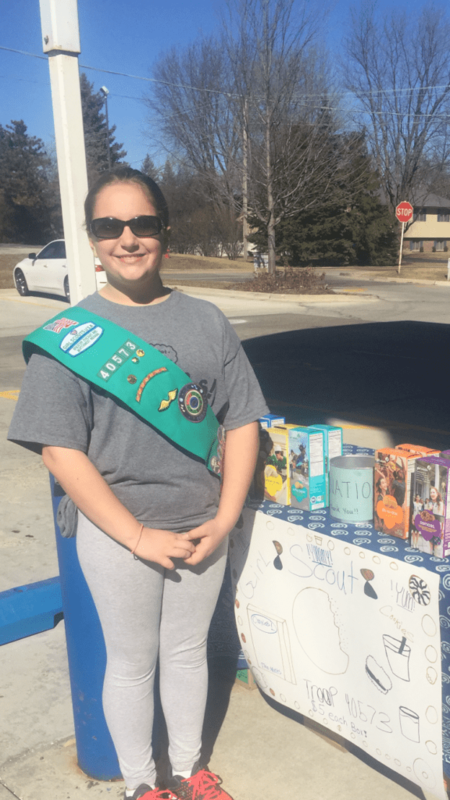 Like most girls her age, she is heavily involved in sports and other activities, but she still manages to find time to give her time to help others. Mara has volunteered by packing food boxes for Feed My Starving Children, and also has been involved in the PADS organization by making beds and helping with other duties. In addition to those volunteer opportunities, Mara has also made blankets for Snug Hugs, an organization dedicated to bringing warmth and comfort to children struggling with life threatening illnesses. She continues to want to help those in need and at her young age, and searches out opportunities to make a difference. Mara is also involved in other activities that keep her busy in addition to volunteering. She plays iceless hockey which Mara credits as a great way to get frustrations out! She also plays soccer and enjoys it, but her first and biggest love is dance. Mara takes tap, ballet and jazz at American Stars of Dance. 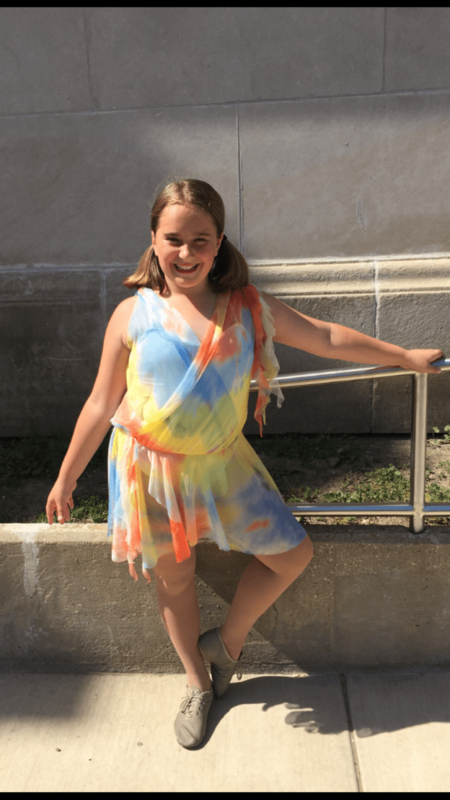 Mara has danced since she was three and feels like it is a great way to express herself. Besides sports, Mara is a proud Girl Scout Junior. Taking part in this organization has helped Mara become more involved in volunteering. Mara keeps active with all of her activities and volunteering, and is a part of St. Mark Lutheran Church. Mara loves helping out before and after the services with the little children, and enjoys the Sunday school classes that she takes part in as well. Being part of the church and a supportive family has given Mara the tools she needs to be a valuable community member. Even when she is not signed up to help at a specific organization, she is helping out at home as well. Her older sister has spina bifida and diabetes which can sometimes be challenging for a sibling to handle. Mara has always stepped up to the plate and has been a supportive, helpful sibling, never letting the adversity that her family faces get her down. There are other challenges that Mara faces as well. She suffers from a learning disability that makes things more difficult for her. She never lets this get her down, and works extremely hard in school. She never gives up, and it shows! 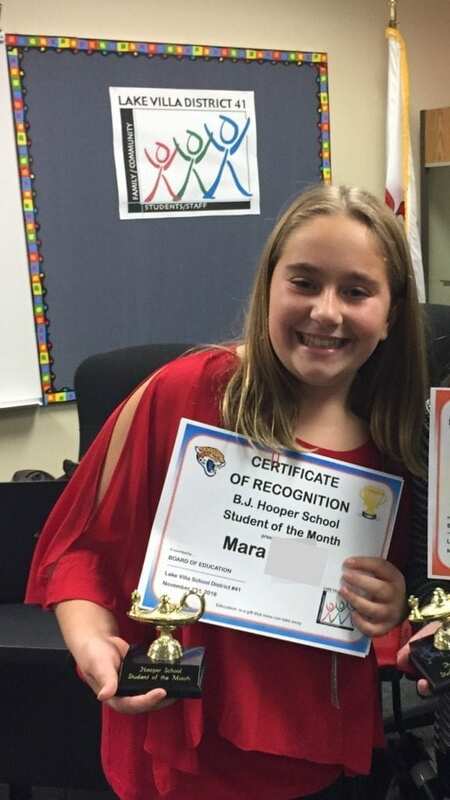 Her teachers have said she is an amazing, hard working student, and in November, Mara won the student of the month at her school. She believes that no matter how hard things get, you can never give up. Mara lives by her words and always does the best job she can at everything she does. She credits her friends, family and her church for her motivation, and believes that everyone should help when you see a need. Follow in Mara’s footsteps by volunteering at local organizations that could use your help. Mara believes that you are never too young to help out and there are many volunteer opportunities right in your own community, for all ages! The world can be a better place if everyone helps out a little, and Mara has shown every one of us that this can be done. Each and every one of our Kirby Kids gets to meet Kirby the Kangaroo at their local Great Lakes Credit Union branch. Kirby met Mara at their local Round Lake Beach Branch, and opened up a youth savings account in her name with a $100 starting balance, courtesy of Great Lakes Credit Union.